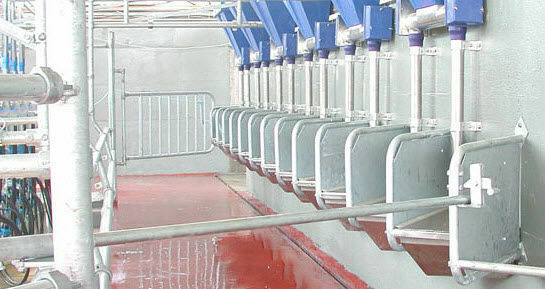 Mangers are a stainless steel trough that is attached to the parlor wall where cow standing is at an angle. Mangers are of a robust construction. Dairymaster mangers enable you to have feeding in a Swiftflo Intro parlor. 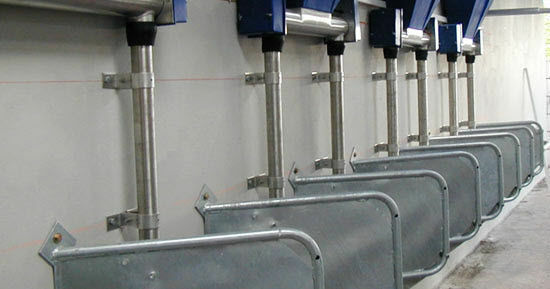 Feeding in the parlor has been proven to improve cow flow and temperament as the cow is more content when the cluster is attached.